Home to more than one billion people fostering under the largest democracy on the Earth, India represents a nation that has civilization as old as the very first ‘sense of existence’ a human had ever experienced or dreamt of. The country among the leading precursors of knowledge and learning had the earliest words of wisdom composed in Vedic Sanskrit text known to be as Vedas. The veracity and great assimilation power to transform all of its invaders and immerse them into her influence has sustained the oldest civilization to develop into a most versatile country that has 438 living languages and a great number of religions, faith and believes that co-exist with each other despite their differences with each one’s own sanctity, individuality and freedom. 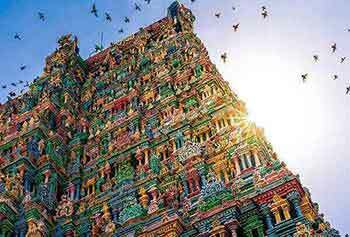 However, a crowded nation, India with a very wider spectrum of culture, languages, flora and fauna, history, geography offers a collage of humanity, with an inevitable impression of satisfaction and fulfilment as trailed through a complete story of man from birth to nirvana. 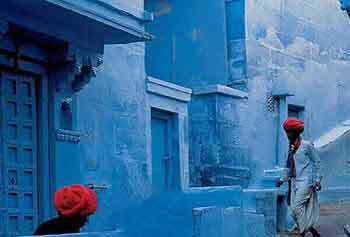 A blend of contemporary with traditional as represented by modern cities and an extensive rural landscape, India is a spot for a stirring and treasured journey. 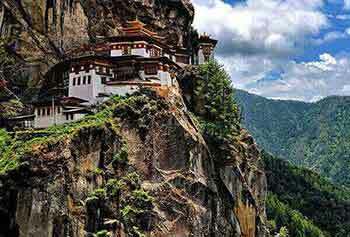 Bhutan, known as the land of Thunder Dragons is a paradise for nature lovers and trekkers. India’s development from an ancient civilization to a modern country with inherent characteristics of assimilation and tolerance to a greater extent has been attributed due to its geographical location and features that led her to inculcate into a civilization with a versatility and vibrancy. The seventh largest country of the world by area, India is located north of equator between 8°4' and 37°6' north latitude and 68°7' and 97°25' east longitude. The country has an extensive boundary of about 15, 200 Kilometres with its neighbours and an extensive coastline of about 7, 517 kilometres. Northern border of India is majorly consisted of Himalayan mountain range sharing frontiers with China, Bhutan and Nepal. Himalayan mountain range has also offered a great defence to India from foreign invasions as well. The Western border of India is shared with Pakistan through Punjab Plain and the Thar Desert. In the east, Chin Hills and Kachin Hills separate India from Burma, whereas Khasi - Mizo hills and Indo-Gangetic Plain create a divide with Bangladesh. 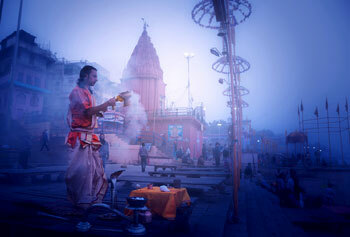 Ganges – Brahmaputra river system plays an important role in defining physical attributes of India. It flows through the most of northern, central and eastern India. The Deccan Plateau spreads across the most of South India. The plateau is bounded by the Sahyadri (Western Ghats) ranging to the west and the Eastern Ghats to the east. The thickly populated areas of Dandakaranya as a barrier to invasion of south India covers the states of Chhatisgarh, Jharkhand still forested mostly populated by tribal population. India has a long coastline. 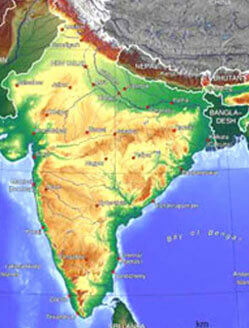 The west coast borders the Arabian Sea and the east coast of it is Bay of Bengal, both are parts of the Indian Ocean. 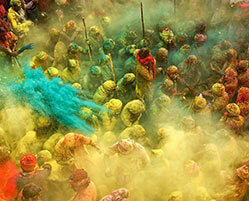 The land of diverse culture is a place that keeps mesmerizing people from all over. Each and every region of India has something unique to offer its customers coming from around the world. The people, their culture, customs, languages, appearances, complexions, etc, differ from one place to another and that difference is very much visible in its surroundings. The reason behind so much variance is its varied topography, which dramatically differs from place to place. The topography of India plays a major role in giving a distinct look to its every nook and corner, which is also found in the costumes and cuisine of its people. India’s Huge Malls & Urban Life also divided into various social subsections - that depends both on caste background and economic background. Both caste and financial background plays a significant role in making of the society in India. It wouldn't be surprising if you find both the riches and the under privileged people walking side by side on the same street and finding a palatial home and a slum on either side of the same road. 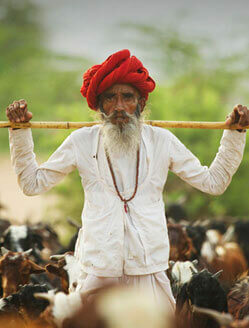 One can easily find the difference between the urban life style and the rural life style in India. On one hand where the urban people are too modern and westernized, on the other hand the rural people are too conservative and superstitious. Finding multiplexes and high-techbuildings with to-the-minute amenities is not a new thing in etropolises, while the small cities are not far behind in the process of development. In contrast to this, the villages are far behind in the development & modernising process. However, here lies the essence of India, as on your tour to India you will get everything of your choice, be it a high-tech ambience or a cool & easy going environment. At present, the cities of India are in the process of huge transformation, which is why you might not come across the real taste of India here, whereas, villages still carry the real image of India, where you can see, hear and taste the real India. 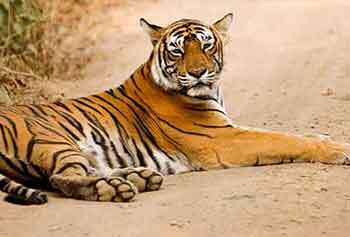 Altogether, the reasons could be innumerable and unimaginable, but Wildlife tours India will never resist from offering diverse sights, smells and sounds throughout your journey. Right from the northern Himalayas to the southern India Ocean, Western desert to extreme eastern tropical rain forests, India is just incredible. The diverse topograhy of India gives an immense opportunity to indulge in various types of activities, besides just sightseeing. The tourist can involve themselves in adventure sports tours, Ayurveda & Spa tours, Nature tours, Wildlife tours, and much more. Witness one of the oldest river valley civilizations, the past of India dates back to ancient times as early as 3300 BC, where it was found existing in excavations of town and city system of Indus valley. A systematic drainage system and interiors of the home found at the excavations of Mohenjo-Daro and Harappa are evidence to much advanced society at that time similar to modern townships which were inhabited by Aryans who even pushed earlier settlers to down south; those even founded Dravidian culture in India. The successive period of calm and prosperity runs till 8th century. During that period India saw birth and proliferation of Buddhism and Jainism under Mauryan and Gupta Empire. 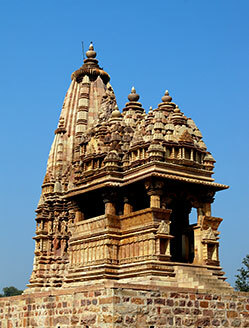 The period has also seen a great architectural construction across India as many great temples were made during that period. The invention of zero, game of chess and many astronomical inventions were made during that time. By reaching the 8th century, the period of calmness turned into turbulence when lured by wealth and massive natural resource the Turk invaders began plundering of its wealth and peace. In 1192, when a Turk invader Muhammad Ghori defeated a brave Indian Rajput ruler, Prithviraj Chauhan in the battle of Terrain and made his deputy Qutub Ud Din Aibek (the founder Qutub Minar) the in-charge of the Indian Territory, the period of medieval Indian history began. In the first battle of Panipat in 1526, the defeat of Ibrahim Lodi by the hands of Babar led to the foundation of Mughal Dynasty. 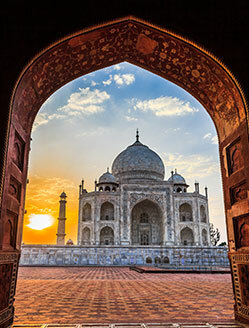 The Dynasty further successively ruled by Humayun, Akbar, Jahagir and Shah Jahan paved the path for an era where art, culture and architecture flourished to a greater heights. 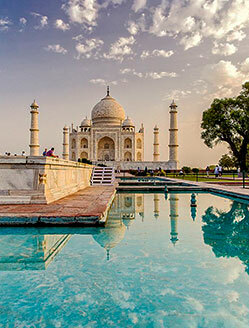 This period saw the construction of some of the world renowned marvel of architectures in India including the Taj Mahal, Red Fort, Jama Masjid, Fatehpur Sikri, Agra Fort and others. Modern period of Indian history begins with discovery of sea route to India by Vasco da Gama, a European explorer in 1498 and further conquest and colonization of India by British, French, Dutch and Portuguese companies. The India came completely under British subjugation in 1857, when first rebellion against Britain was crushed; however, India attained full freedom on 15th August, 1947. The period of British rule in India introduced the country with advance principal of sciences, new political system and democracy. After independence, India adopted democratic parliamentary system and is now administered by an elected government. At present, India is known to be as the fastest growing economy counted in BRIC nations and is among the 10 largest economies, GDP wise. India is also an IT (Information Technology) power house. People of different religious faiths and belief speaks different languages living in different parts of the country, yet entwined with their traditional values and patriarchy system best describes the Indian culture. Birth place and nurturing ground of faith on Hinduism, Buddhism, Sikhism, Jainism, Islam and others, religion plays an important role in lives of Indians as a place of worship and devotion can be found across the length and breadth of entire India. Thus this multi-layered culture wrapped in spiritual theme dominates Indian milieu to a greater extent ranging from music, art, literature, cuisines, clothing, architecture and every other aspect of living. Traditionally, an agricultural country, village plays an important role in Indian society thus causing folk dance and music to be important part of folk life during special occasions and celebrations. Indian food rich in oil has ample spices for flavour and taste offering extraordinary range of culinary diversity. The fiery taste of Indian food coming from extensive use of green and red chilly powder is worth to taste once. The modern face of India is its youth, the third generation of country after the Independence, the youngest nation in the world and a larger proportion of Indian demography that is educated, tech savvy works in big metros of India in leading corporate and financial institutions of the world. They frequently visit eating joints restaurant chains, boutiques and clubs and have all the latest technical wizards in their possession. Counted among one of the best cuisines of the world, you will find Indian food to be hot and spicy. The savoury taste of Indian cuisines comes from the liberal use of various spices and green or red chillies powder. However, the use of spices in Indian cuisines varies from region to region. 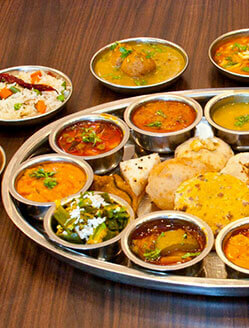 The food from Andhra is the most hot and spicy whereas you will find Gujarati cuisines to be gentle in taste. If you wish to taste Indian food, it is good to start with lesser spicy food. After some time you will get use to Indian spicy food. Indian food is primarily divided into two parts owing to cereals grown there. North Indian food being bread based due to cultivation of wheat is consisted of primarily Punjabi and Mughlai food. Mughlai cuisines mostly non-vegetarian have Afghani, Arabic and Turkish preparation methods. Contrary to north Indian food, the cuisines of South India are rice based. A typical South Indian meal includes sambhar (a thick vegetable and lentil chowder) with rice, rasam (a thin, peppery soup), or avial (mixed vegetables) with rice, traditionally served on a banana leaf as a plate. Likewise, every region of India has something special to offer for your culinary desires. 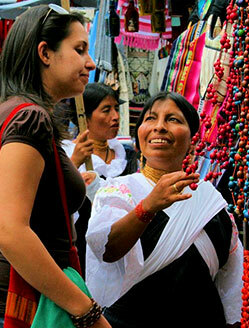 Shopping in India offers a unique selling experience and exposure for tourists from all across the globe as they will enjoy doing hard bargaining while buying from street hawkers. However, with rising levels of foreign investments in India, you can now easily find retail chain stores across the country from Big Metros to small towns. For a quality shopping you can prefer government cottage emporiums. You can do a lot of shopping on your way to India, however, it is preferred to buy wood carvings, clothing, painting, marble and stone carvings and jewellery. Leading brands like Louis Vuitton, Prada, Gucci, Zara, A & F and others are there available in upmarket stores as well. In India, both GSM and CDMA services are widely offered with starting credit of Rs 120 and Rs 90 credits on the SIM. 3G/4G services are widely available in India. Major telephone operators in India Major telephone operators & mobile services across India includes Airtel, Vodafone, BSNL, MTNL, Reliance Mobile (both GSM and CDMA), TATA DOCOMO (GSM), TATA Indicom(CDMA), Idea Cellular, Uninor, Aircel , MTS(CDMA) and Videocon Mobile. Internet cafes can be found anywhere in India as they charge as low as 10-20 Rs per hour. The most common internet kiosks in India are Reliance World and Sify iWay. Wi-Fi penetration in India has yet to make its mark in India , though major airports and rail stations offer paid Wi-Fi on hourly basis. Delhi, Bangalore, Pune and Mumbai are the only cities in India with sound wi-fi coverage. 3G/4G datacards/USB modems are rather more popular in India. On entering in India, you generally have to get yourself adjusted to a new climate, weather and food hence prompting you to be prone to mild fever at the start of the journey. It is always advisable to get your body to be relaxed for a day or one to acclimatize to the country before starting the journey. While eating, enjoy spicy food, cautiously, if it is not your regular diet. Tap water is generally not advisable for safe drinking in India. However, at different organizations you can find filters/ purifiers installed and water to be safe for drinking. Adequately sealed packaged drinking water is a safer option of drinking water in India. Bisleri and Kinley are among the best drinking water brands in India. Peeled fruits as apples and bananas and packaged snacks are always good option to eat in India. The currency of India is rupee or INR (Indian National Rupee). A rupee is further divided into 100 paisa. The common bills in India come in denominations of 5, 10, 20, 50, 100, 500 and 2,000 rupees. It is always advisable to keep bills of small denominations when shopping in India; otherwise, it may create a problem of exchange. Tipping is not mandatory in India, however, it is considered being as a humane to give 5 -10% of the service as a token of appreciation to low wage earning serving persons as porters, drivers, restaurant and other staff. India is multilingual nation as you will find entirely different languages spoken by people of each state in the country. Hindi is spoken by 40% of Indian population and English is also used by educated class. It is used as language of formal communication among people. In addition to Hindi and English India has other 21 official languages including Punjabi, Bengali, Marathi, Tamil, Kannada, etc. India’s position in tropical zone causes months of heat and monsoon followed by cool months between September-March is the best period of year to visit India. This is the best part of the year when after the intensive rainfall, the entire country gets covered in green foliage. 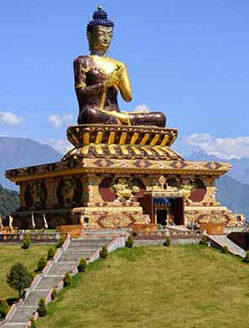 Period between May to August of humid and hot is the most suitable time to visit the Ladkah Region. According to your reason for visiting India you can get visa for different durations. 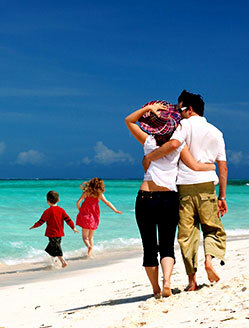 • A special 10 year visa is allowed for selected nationalities. In India, a visa is valid from the date of issuance not entry. In India, a visa is valid from the date of issuance not entry. With an extensive network of road, railways and airlines, it has become very easy to reach India and even commute across the farthest corner and region of the country. Mumbai, Kolkata, Delhi and Chennai are major international airports that operate regular flight to major cities of the world. Another important entry point to reach India in recent time has been developed as Bengaluru, Hyderabad and Kochi. Indian Railways at present is one of the largest railway networks of the world and offers a great opportunity to learn about Indian landscape and natural beauty at first hand. 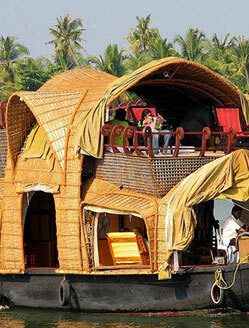 It is one of the safest methods to travel in India in a cost effective manner. For travelling by road you can choose from the variable options as interstate bus services, car rental and other important options. The unique geographical position of India lying in tropical zone and surrounded by Himalayan Range in the north leads to primarily three seasons in India including summer, rain and winter. The temperature goes as high as 45 degree Celsius in summer and as low as zero degree Celsius in harsh winter conditions. The Himalayan Mountains experience moderate to heavy snowfall in winters. According to the reputation of India, the option to stay here varies in different price segments. You can get rooms here according to your budget starting as cheapest as from Rs. 450 per night to expensive luxury five star hotel suites. Apart from that to avail excitement of unique staying experience in India you can book yourself a room according to your need at hotels, resorts and heritage hotel sites. Rural home stay is another novel concept of home stay is emerging here where a tourist stay with host in his home at countryside.